Your digestive health reveals a ton about your eating and lifestyle habits, and your poo is a clue. If you’re normally feeling sluggish, having trouble losing weight or getting in shape then digestion is worth the investigation. When you’re working with me as a 1:1 client you can bet I’m going to ask you about your doody duties because it helps us get to the *bottom* of things (ha!). Sub-optimal bowel movements are trying to tell you something important. Where can you improve in the following? Poor diet and food sensitivities: Consuming sugar, processed foods, refined grains, food preservatives, lack of hydration, food sensitivities, and not eating enough fruits and vegetables can cause bowel dysfunction. 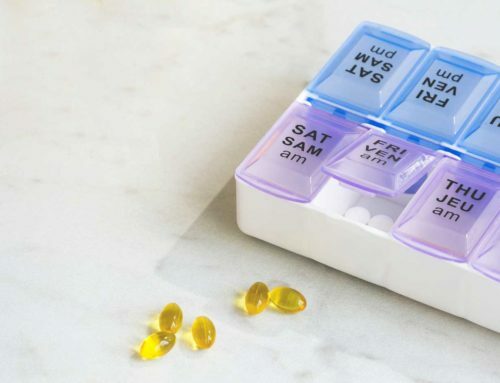 Keep a food diary for a couple weeks to track what you eat and any symptoms you notice. Talk to a qualified health practitioner about an elimination diet to help track the culprits. Stress: Delaying bathroom time because of a busy schedule is a common reason people get backed up. Never ignore the need to pass a bowel movement as too much water can be absorbed from the stool and it can become dry and impacted leading to constipation. 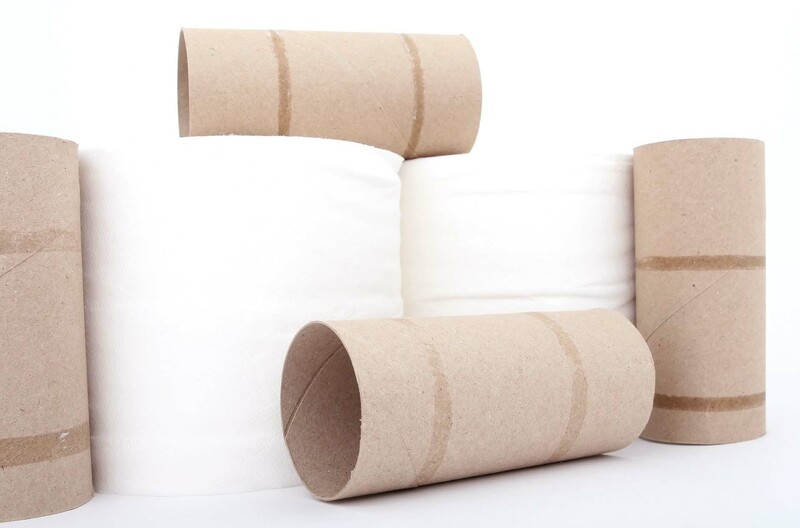 Irregular eating patterns, eating on the run and making less healthy food choices, all can contribute to constipation. A more direct affect of stress is its impact on the nervous system which causes an interruption of normal signal functions. When you are tense, your colon restricts leading to constipation. Nervousness and anxiety can have a strong effect on the gut and intestinal muscle commonly leading to diarrhea. A qualified health practitioner can help pin point stress hormone imbalances and work with you to resolve them. Gut flora imbalances and poor digestive health: When we have a good supply of friendly bacteria in our intestines we are much more regular. However, antibiotics, stress, certain medications, jet lag or shift work, travelling, aging, blood sugar irregularities, and a poor diet can all lead to gut flora imbalances which may predispose us to constipation. Health issues like Crohn’s and colitis, Irritable Bowel Syndrome, and low thyroid function can cause havoc on our digestive system and it’s best to work with a qualified health practitioner to uncover what’s going on. 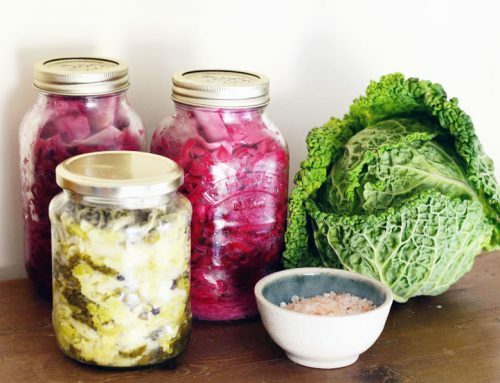 Eat fermented foods and consider a high quality probiotic to help get you started. You’re exercising too much or not enough: Physical activity favours intestinal mobility and so a sedentary lifestyle can lead to constipation. However, overtraining can cause major stress on the body too, causing loose or watery stool since blood flow to the gut is being reduced during exercise. Notice if you are experiencing constant muscle aches or fatigue and instead reduce intense workouts days and add more active recovery days like an easy swim, yoga, or a walk. 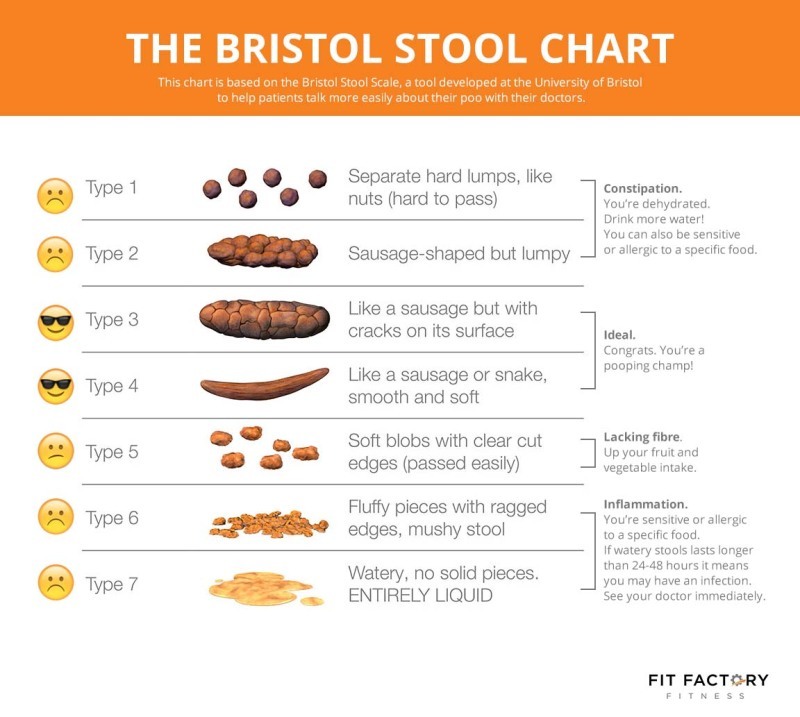 As you can see there are many factors in play when it comes to achieving the holy grail of a perfectly formed poop and its relation to hitting your health goals. If you’d like personalized guidance on achieving your health and fitness goals, book a complimentary consultation with me today!